Dark All Day, the forthcoming and already very promising album by topnotch synthwave duo, Gunship, is being released on October 5th, 2018. Following the unveiling of the Lost Boys-inspired self-titled track, the group has shared another single, When You Grow Up, Your Heart Dies, which comes with a beautiful video. The clip draws influence from all kinds of popular movies from the eighties, all of which in one way or another have had a big effect on the ever growing synthwave and retro pop scene. The video features contributions from Wil Wheaton (The Big Bang Theory, Star Trek, Stand By Me), UFC Champion Demetrious Johnson, pro skater Jason Parks, as well as Gunship fans who submitted recordings of themselves giving uplifting statements. "We were so blown away with the fans' vocal contributions to the song that we felt we just had to unleash them on the video too," say the band. "The idea was to give the fans the entire video to run wild with. We knew we would get all manner of craziness and entries of every quality level imaginable, but when we started to watch the submissions, we were seriously taken aback." 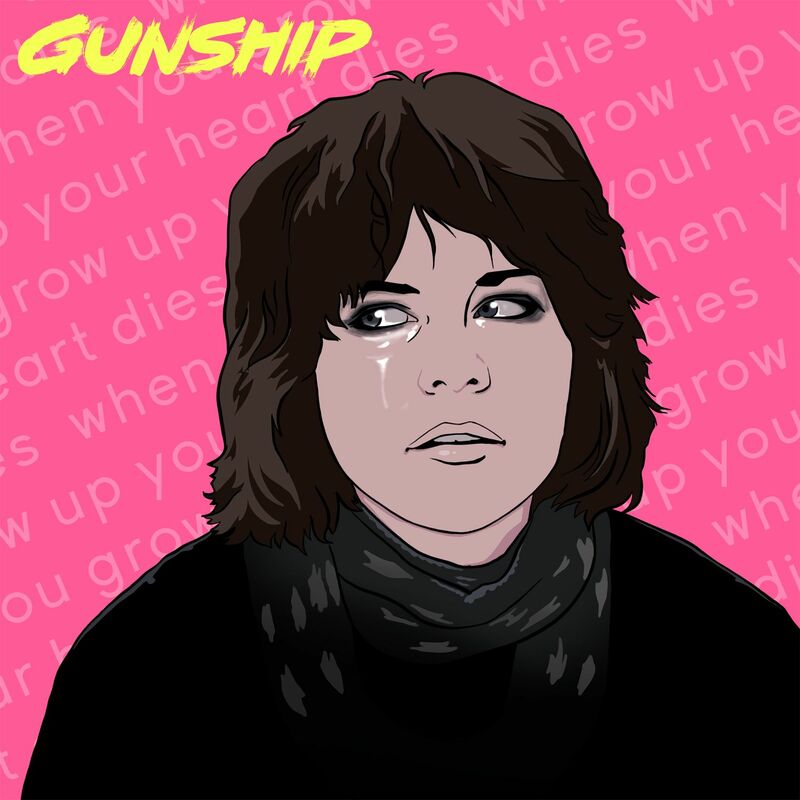 Always produced to perfection, and carrying the nostalgic, vintage eighties pop qualities at a very high level, those new pieces certify Gunship as currently one of the genre's most popular, celebrated, and all in all, finest acts to follow.